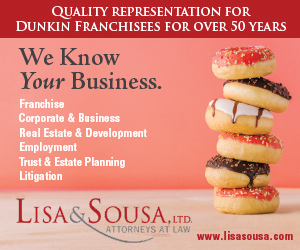 Looks like it could be a long, hot and potentially expensive summer for Dunkin’ and other quick service franchise owners around the country. Several states and cities hiked their minimum wage on July 1, with a few now even pushing past the much ballyhooed $15 an hour mark. Activists pushing for sick leave mandates are gaining ground in Texas and Michigan, following in the footsteps of campaigns that have passed similar legislation in 10 other states and Washington, D.C. In California, there has been an amazing about face for communities already collecting taxes from the purchases of soda. Such taxes are now banned until 2031. Across the country in Pennsylvania, the highest court is preparing a decision on a legal challenge mounted by the business community that could cancel Philadelphia’s controversial soda tax. In Dunkin’s home state of Massachusetts, the Legislature has just approved a bill calling for mandatory paid family and medical leave. The so-called “grand bargain” bill would allow workers to take up to 12 weeks of paid family leave to care for a new child or 20 weeks of paid medical leave to deal with a serious injury or illness for themselves or family members. The bill also calls for raising the minimum wage to $15 an hour by 2023. Meantime, Dunkin’ franchise owners in Michigan and Texas are watching closely as activists push proposals that would require businesses to provide paid sick leave. Working Texans for Paid Sick has collected 110,000 signatures in a bid to either force the Dallas City Council to vote on a sick leave proposal or to put it on the Nov. 6 ballot for voters to decide, the Texas Monitor reports. Dallas is the third major city in Texas targeted by the activist group, which wants to force franchise owners and others to provide up to 8 days, or 64 hours, of paid sick leave a year. For businesses with 15 employees or less, that number would be six days or 48 hours. The Austin City Council passed a mandatory sick leave law – the first of its kind in the state’s history – earlier this year. San Antonio voters will go to the polls this November to vote on the proposal by the activist group. Still, opposition is brewing, with the conservative Texas Public Policy Foundation’s Center for the American Future having already filed suit in a bid to derail the new Austin law. In Michigan, sick leave supporters have submitted 380,000 signatures to state officials in a bid to get the proposed Earned Sick Time Act on the fall ballot, the Detroit Free Press reports. The proposal by the group Michigan Time to Care would mandate up to 72 hours of sick time for employees of businesses with ten or more workers, and 40 hours for smaller firms. The move comes three years after the Michigan Legislature voted to bar local cities and towns from passing their own sick leave ordinances. The Michigan Chamber of Commerce warns the proposal could backfire, forcing businesses who can’t afford to provide the benefit to cut back on raises, bonuses and hours for their employees. “A paid leave mandate, if approved by voters, will have a chilling impact on many businesses,” the Chamber warns on its website. Ten states and Washington, D.C., have sick leave laws on their books, including Oregon, Massachusetts, Rhode Island and Vermont, with New Jersey officially joining the ranks on Oct, 29, according to the National Conference of State Legislatures. Just weeks ago, California killed any chances of a statewide soda tax, thanks to a cleverly worded legislative compromise that ultimately led to Republicans and Democrats in this deep blue state passing a bill the governor could sign. The beverage industry had helped bankroll a ballot question with the help of the California Business Roundtable that would have required local cities and counties get a two-thirds vote, instead a simple majority, in order to raise any taxes. The organization offered to pull the ballot question if Governor Brown would sign the bill that barred cities and counties from imposing any new taxes on food or drinks for 12 years. Brown signed it on June 28. The battle is being waged differently in the Pennsylvania legislature, where Philadelphia’s controversial soda tax would get the axe under a proposal by Republican State Representative Mark Mustio. His bill would also prevent other Keystone State cities and towns from passing similar soda taxes. Mustio contends that Philly erred in not getting permission first from the state Legislature. The proposal comes as the Pennsylvania Supreme Court weighs a lawsuit by local business and trade groups challenging the 1.5 cent-an-ounce tax on sweetened beverages sold in the City of Brotherly Love. In January 2017, Philly became the second city in the nation (after Berkeley in 2015) to pass a soda/sweetened beverage tax, but the proposal has been met with fierce opposition from the American Beverage Association and other business groups. Among other beefs, the group contends that Philly consumers are effectively getting taxed twice, first with the sales tax and then with the soda tax. While the tax is levied on distributors, it is effectively passed on to consumers, opponents contend. At a hearing in May, justices on the state’s highest court zeroed in on the legal challenges. A state law already prohibits Philadelphia from imposing taxes on items already taxed by the state. City officials have touted the tax, saying it has raised more than $96 million. But the tax has also fallen short in meeting initial revenue projections, forcing city officials to scale back spending plans on various programs and renewing criticism from business groups that the tax is a heavy burden and can’t be maintained. The battle over Philly’s soda tax is likely a preview of what’s to come as activists turn their sites on “big sugar” and press for similar taxes in cities and states across the country. Already, 30 countries around the world have slapped taxes on sugary beverages, according to Bloomberg, the financial news service founded by former New York Mayor Michael Bloomberg, whose own push for a soda tax in the Big Apple fizzled. The rub against soda, critics contend, is that people imbibe soda and sugary drinks without cutting back in other areas to offset the extra calories they are gulping down. But Katherine Loughead, a Policy Analyst with the Center for State Tax Policy at the Tax Foundation, thinks soda tax activists are all wet in their belief that penalizing consumers to take a bite out of the obesity epidemic. Sure, soda sales have gone down when they have been hit with new taxes, but that’s simply the law of supply and demand, not people getting more health conscious. Rather, Loughead points to a 2012 Cornell University study that found consumers coped with soda taxes by buying more beer. Whether it is beer or other treats, people who cut back on soda after a tax increase replace those calories elsewhere, she notes, pointing to National Health and Nutrition Examination Survey data. But if we are going to start using taxes to fight obesity, why stop there? Taken to its logical conclusion, this approach of taxing our way to health might someday include penalties for watching too much TV or skipping workouts, Loughead suggests. “Perhaps we could do annual weigh-ins and calculate an income tax credit program for those that meet the expertly-determined ideal number,” she writes. Japan instituted a weigh-in program earlier this year. According to The New York Times, people between the ages of 40 and 74 will have their weight and waistlines checked as part of their annual checkups. Men are allowed 33.5 inch waistlines; women are allowed 35.4 inch waistlines. People who don’t measure up – or out in this case – will be given dietary guidance and re-education on proper food and nutrition. Beginning July 1, the minimum wage jumped in several cities and states. Washington, D.C., is pushing ahead with one of the biggest wage hikes in the country, to $13.25, minimums in Maryland and Oregon will rise to $10.10 and $10.50, respectively. A number of cities raised their minimum wages on July 1, including Portland, Maine, Chicago, Minneapolis, and San Francisco, where the minimum hourly rate hit $15 an hour. Some cities are now even pushing beyond the $15 an hour mark, including Seattle, which is requiring $15.45 an hour of companies that don’t offer health insurance, according to Bloomberg Law. New laws, mandates and regulations can quickly chew up profit margins for small business owners, so it pays to keep a close eye on new proposals that could impact your bottom line. While the number of states forcing businesses to offer paid sick leave remains in the minority at 10, activists appear to be gaining momentum in Michigan and Texas. The battle over Philly’s soda tax also has wider implications, as other groups eyeball opportunities for copycat legislation around the country should the city’s tax on sweetened beverages survive legal challenges. Meanwhile, the cost of doing business rose in several states on July 1, when a number of minimum wage hikes became law. 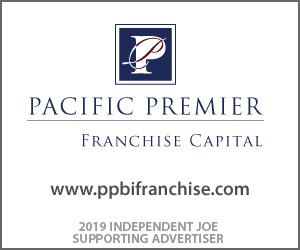 Throughout the year, Independent Joe will continue to monitor the issues, rules and regulations that will impact how you operate your business and profit from it.